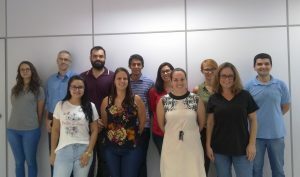 SynTech Research staff met in Piracicaba, Sao Paulo at the end of December, to review implementation of the Company’s safety policies, business strategy and staff training. Attendees from N America, the EU and Latin America (US, Brazil and Poland) focused on the delivery of uniform and quality data to SynTech’s clients across its core offerings of Efficacy/GEP, GLP, Seeds/Traits, Ecotoxicology, Study Directorship, Quality Assurance and Regulatory services. SynTech places particular emphasis on training of its field staff, and the group agreed plans for its traditional program of internships in 2019, which involve temporary transfer of a number of staff between its global network of stations.